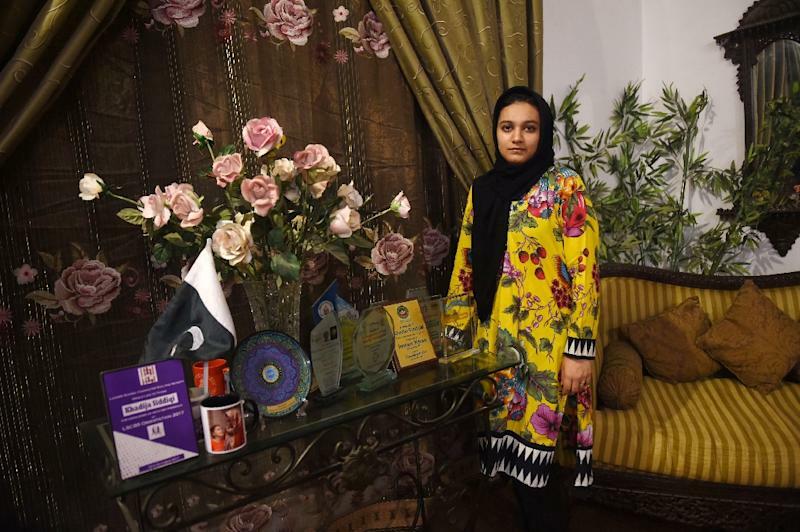 Lahore (Pakistan) (AFP) - A Pakistani law student has emerged as a women's rights crusader after she was stabbed 23 times in a busy street only to see her alleged attacker walk free, igniting outrage across the deeply patriarchal country. 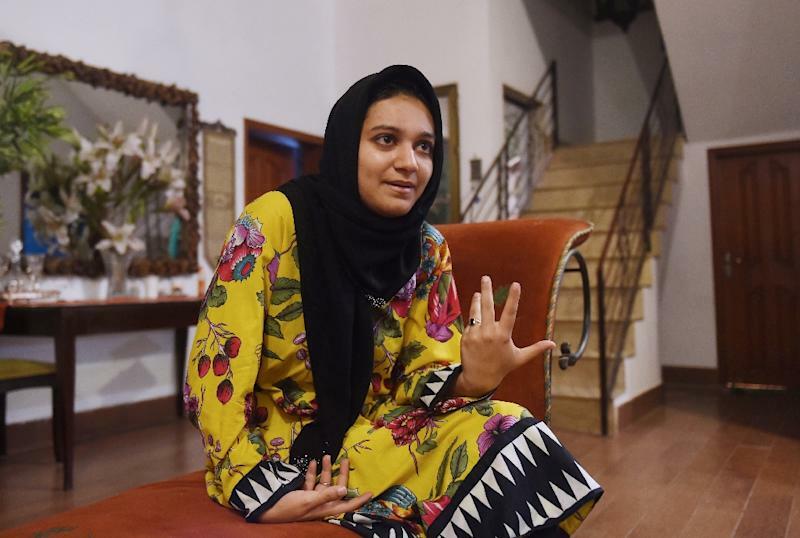 Khadija Siddiqui, 23, survived the frenzied attack in broad daylight outside her sister's school on a busy thoroughfare in the teeming eastern city of Lahore, Pakistan's cultural capital, in May 2016. Her sister was also injured as she tried to defend her, and the brazen attack only ended when her driver managed to pull the assailant off and rush Siddiqui to hospital, where she was admitted to intensive care with her neck slashed, her arms wounded, and a deep injury to her back. Siddiqui named her attacker as Shah Hussain, a classmate whom she had rejected romantically. He was convicted and sentenced to seven years in prison in July 2017. But Hussain, the son of a prominent Lahori lawyer, appealed the decision -- and in a shock judgement released on June 4, the Lahore High Court acquitted him on all charges. 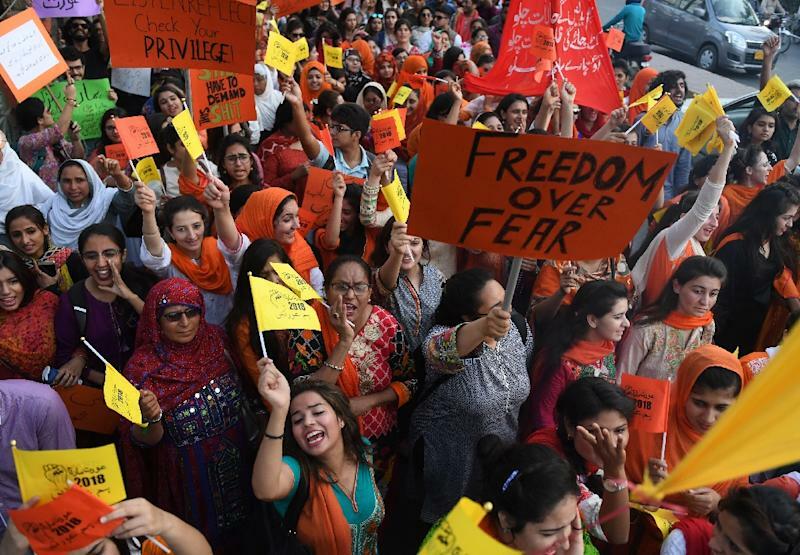 The decision was greeted with an uproar in Pakistan, where hundreds of women are murdered and attacked by men each year, with many struggling to get justice in a sluggish court system that advocates say is often slanted against them. "I was shocked," Siddiqui, who spent three weeks in hospital after the attack and whose back still pains her, told AFP. "But unfortunately it was true." Siddiqui's long struggle to put her attacker behind bars had already drawn attention from women's rights campaigners, but when Hussain walked free it unleashed a wave of anger. "I am heart broken, speechless, shattered after hearing what our judiciary system did to you @khadeeeej751 - But do not give up , keep fighting, and we shall overcome this together," tweeted actress Urwa Hocane. Hamza Ali Abbasi, another TV personality and activist, commented: "We must all unite & be Khadija's voice & leave no stone unturned to get her justice against this barbarian! #WeAreWithKhadija". The hashtag was trending in Pakistan within hours of the acquittal. The reaction intensified when the court's judgement was released, with critics accusing it of "victim-blaming" after it poked holes in Siddiqui's credibility. The judgement questioned why she did not name Hussain as her attacker immediately, despite testimony saying she had fallen unconscious; and noted that at one point prior to the assault she had written a letter proposing marriage to him. The outcry was so great that Pakistan's Supreme Court has now taken up the case and will hold hearings later in the summer, it announced Wednesday. Hashmi, Hussain's father, has told AFP that his child is innocent. "My son is a brilliant student," he said. "How can he be a criminal?" Siddiqui's case highlights how Pakistan's judicial system fails women, says Hina Jilani, a leading lawyer and human rights activist. The young law student is lucky in that she received high-profile support and it came to the Supreme Court's attention, Jilani says -- but that is rare. "There is a prejudice against women," she argues. Pakistan is deeply conservative, and violence against women remained "pervasive and intractable" in 2017, according a yearly report by the country's Human Rights Commission. It documented thousands of reported violent incidents including rapes, assaults, sexual harassment, acid attacks, murders, and even four examples of "stove burning" -- understood to be when a woman is taken into a kitchen, covered in kerosene and set alight; then the perpetrators claim she was burned by the stove. The real figures, the commission said, are likely to be much higher. Many cases of violence against women are not reported to authorities. In rural areas such cases often bypass the formal justice system and are dealt with by village "jirgas" or councils, often in a manner that is punitive for women. But even for those cases which do enter the court system, the conviction rate is "below one percent", says Rabeea Hadi, an activist with the Aurat Foundation, a women's rights watchdog. In cases of domestic violence and sexual abuse, it is "almost zero", adds Anbreen Ajaib, the executive director of another women's rights group, Bedari. Siddiqui says women, including herself, are often pressured to drop their cases, and can face blackmail and harassment. But she is determined to see hers through, and says the attention it has received has prompted many women to contact her to say they, too, are encouraged to stand up for themselves. "I have been told by the prosecutors... that I'm probably the first woman who is fighting so hard to get justice," she told AFP, sounding calm and confident. "It has proved that if women fight, they can turn things around, so they should never give up... they should not tolerate injustice, violence and blackmail."